This sheet shows designs for ceramics in pen and ink and watercolour annotated with reference numbers. It was produced by a designer at H & R Daniel, a Stoke on Trent ceramics factory that was in business between 1822 and 1846. The designer produced numerous sheets of variant designs and these were bound together in a pattern book. Pattern books were kept in factories for staff to consult, including directors looking for new and attractive designs to put into production, and the painters employed to decorate the ceramics. Today pattern books are of interest to designers, students and collectors, for the important role they play in identifying unmarked ceramics and for the fascinating variety of patterns they contain, most of which never made it into production. At some stage in its history, the Daniel Factory pattern book was broken up and the sheets became separated. However twelve sheets did stay together and these were acquired by the V&A in 2004. This particular sheet is thought to date from about 1840-46. Design drawing in pen and ink and watercolour on two sides of a single sheet. 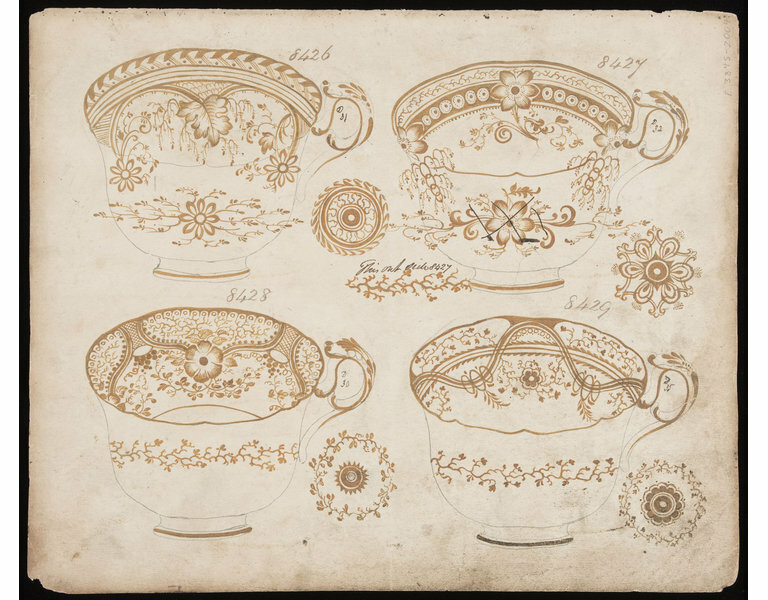 On the front are four drawings of teacups decorated with different patterns. These are numbered 8422, 8423, 8424 and 8425. 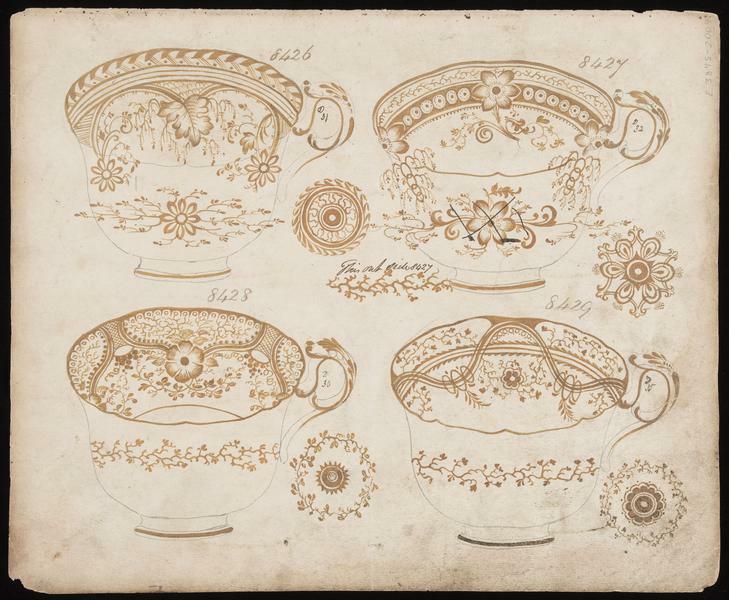 On the reverse are drawings of a further four teacups. These are numbered 8426, 8427, 8428 and 8429. In each case the inside base of the teacup is shown alongside. 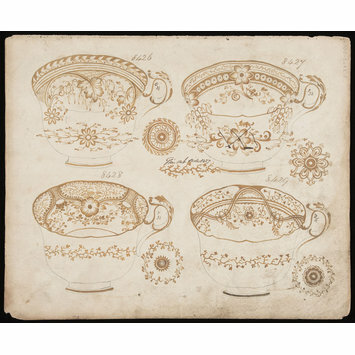 Design drawing for teacups by the Daniel Factory, Stoke on Trent, about 1840-46.